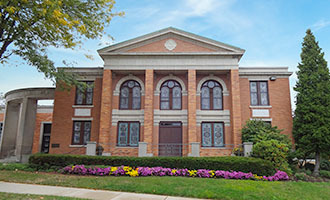 This fall the Akron Digital Academy will move to its new home at 133 Merriman Road, in the building which once housed the Temple Israel congregation, which has built a new temple. Bowlin said he and his board were excited about the new facility. 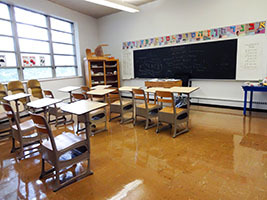 Prior to the move, the academy was located in two office buildings on South Main Street, grades 6 through 8 in one building and grades 9 through 12 in another. The facility on Merriman offers 36,000 square feet on two floors, compared to 28,000 square feet in the two buildings. Bowlin said the middle school will be housed on one floor and the high school will occupy its own floor. “Our new building will provide 14 class-rooms, a library and auditorium. We will have so much more space,” Bowlin explained. A media center also is planned where students may explore career and college information. “We now have the opportunity to create other areas in the school so the students can make it their own,” he added. Bowlin said he and his board have fallen in love with the new building. “It’s all about the kids. It’s all for them. It revolves around them,” he explained. 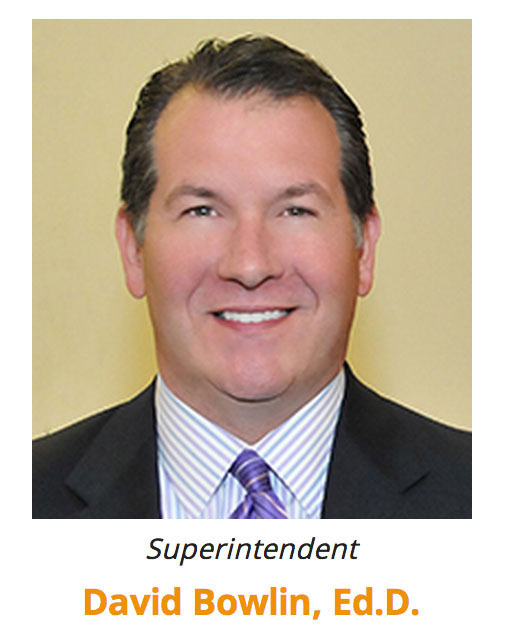 Another plus of consolidating the two sites into one is better opportunity for teacher professional development, according to the superintendent. “We are constantly upgrading teacher skills, being in two locations made getting all the teachers together at one time difficult,” Bowlin said. The Akron Digital Academy is leasing the former temple with an option to buy. 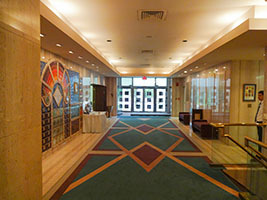 Although the lease does not officially begin until July 1, the seller has graciously allowed the academy to hold its 2015 graduation ceremony at the Merriman Road location. The graduation ceremony was June 9th. The Akron Digital Academy was founded in 2002 as an extension of the Akron Public Schools. In 2013 it was reorganized under new sponsorship. It is a non-profit organization. The academy combines individual learning with technology and tailors learning experiences to the individual. Current average daily enrollment is 450 students with a teachers and staff numbering 55, according to information provided by Bowlin. This entry was posted in Education and tagged Akron, Blending learning, Classrooms, Education, High School, Learning, Middle School, Northeast Ohio, On-line learning, Schools, Students, Summit County. Bookmark the permalink.